We want to thank everyone who stopped by our booth to talk with us about wrecking a mech. It was fun to meet people in person who were as excited about card games and robots as we were. We hope that those of you who picked up the game are having fun and will share your experiences with us on our website or tag us on social media (twitter, Facebook, Instagram, YouTube). For those of you who wanted to pick up a copy but couldn’t (the vendor hall closed pretty suddenly), we’re online! 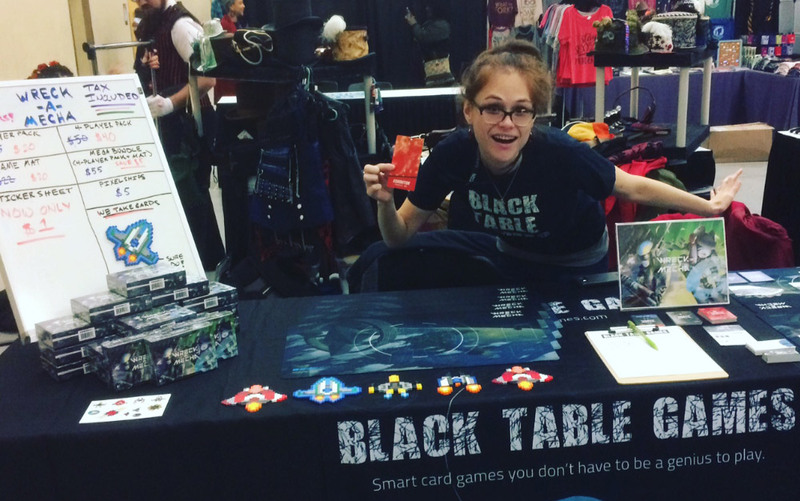 You can find us through blacktablegames.com or through wreckamecha.com. Thanks again to all Geek Girls (and Geek girl supporters)!